Our tour begins at Matunuck Oyster Bar with introductory information about East Matunuck Barrier Beach, Succotash Salt Marsh and Potter Pond Estuary. 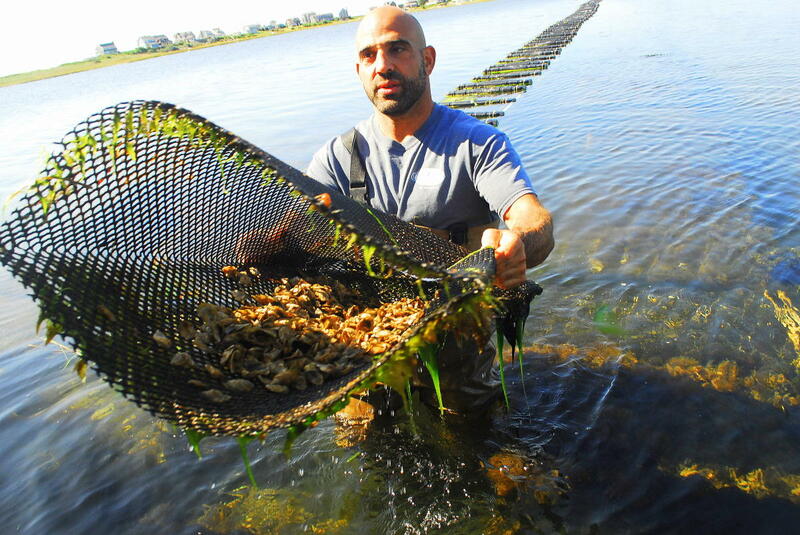 Perry Raso of Matunuck Oyster Farm will discuss aquaculture and fisheries on a global scale and a local scale.The participants will then wade into the seven acre shellfish farm in Potter’s Pond. The tour will take about 90 minutes. 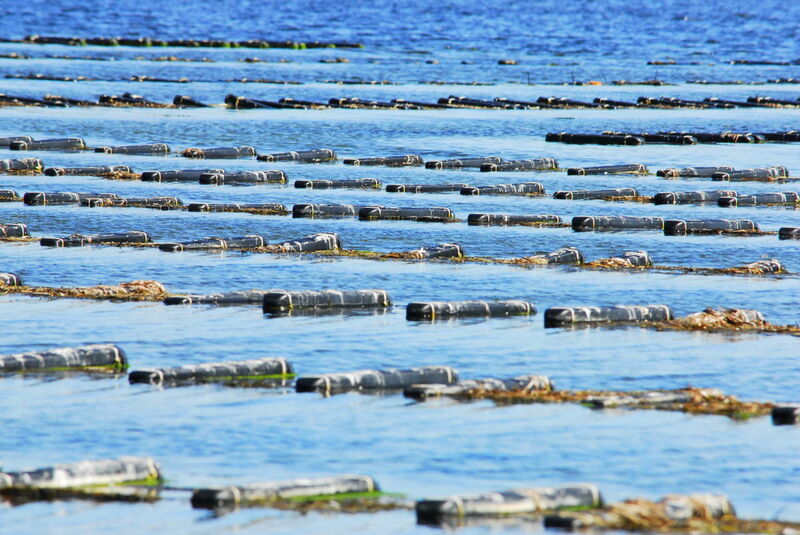 Tours of the oyster farm are a unique feature of the Matunuck experience. 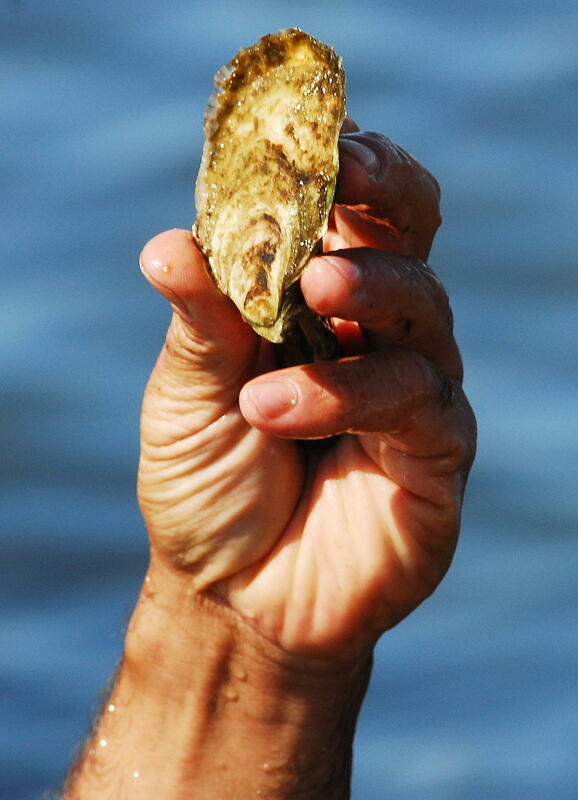 Group tours and educational field trips show how shellfish are cultivated in local waters. The tour starts off right from the waterfront patio of Matunuck Oyster Bar and visitors see the different species of shellfish in many different stages of growth. 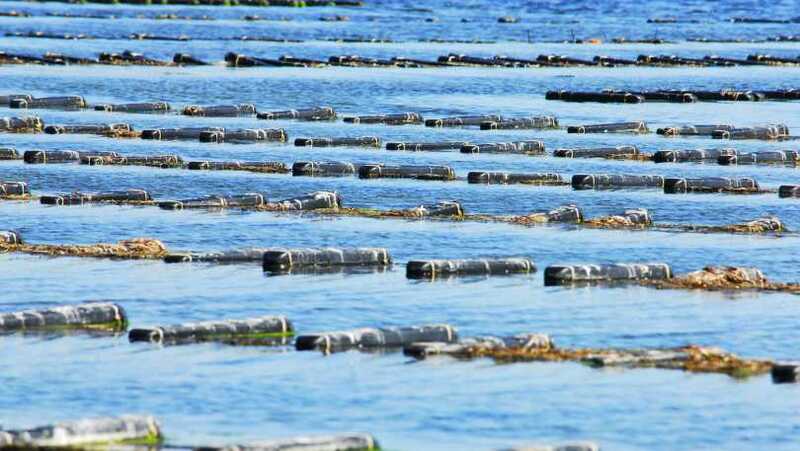 The tours and oyster farm were started with help from RI Sea Grant Reed Initiative funded project ”The Ocean State Aquaculture Education Project” in 2002. 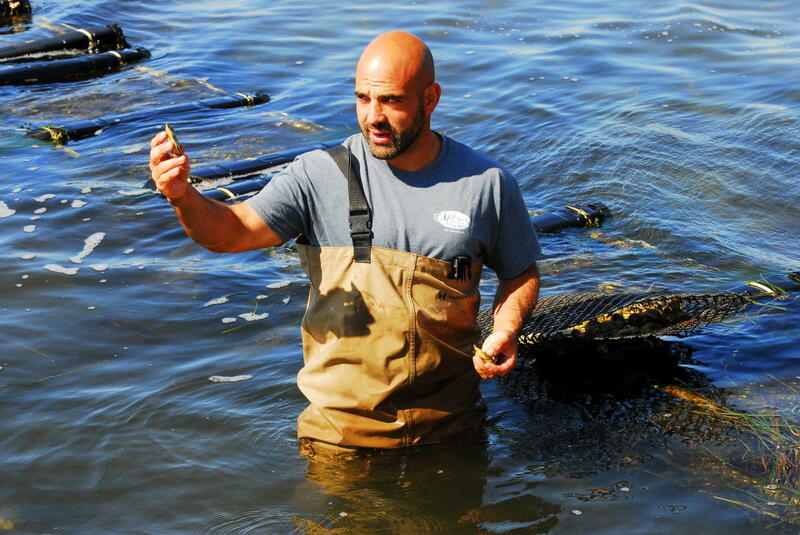 Although the grant has expired, Raso continues the tours because of the educational opportunities they provide and to increase people’s understanding of aquaculture and RI’s estuarian environment. With our tours we hope to encourage our visitors to take an active interest in supporting local aquaculturists and farmers. 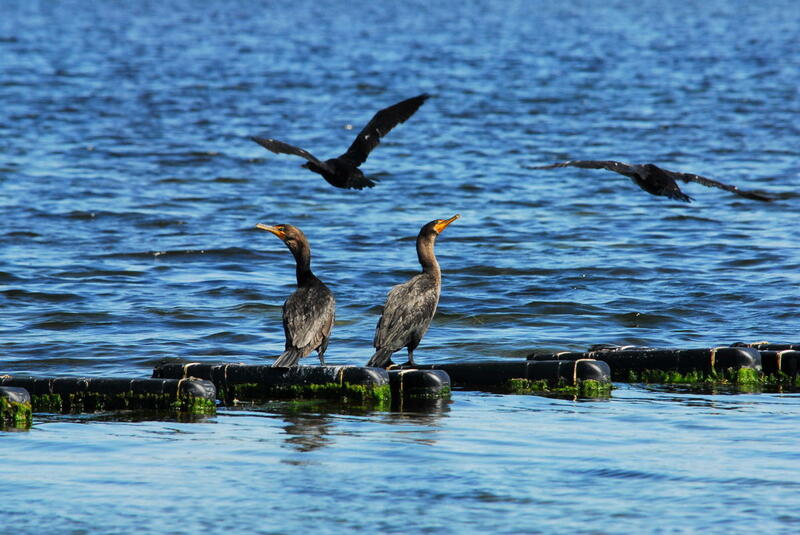 We offer group tour and lunch packages.